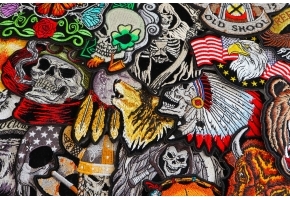 100% Rayon Thread Synthetic Embroidery. Plastic Backing with Japanese Iron on Glue. Reflective Fabric. 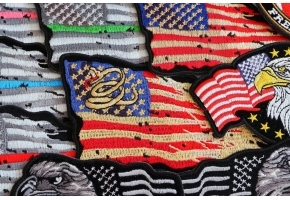 Material 100% Rayon Thread Synthetic Embroidery. Plastic Backing with Japanese Iron on Glue. Reflective Fabric. Are you proud of your heritage and would like everyone to know it? 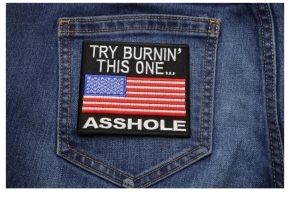 Well if so, then you should get yourself an American Flag Reflective Patch. 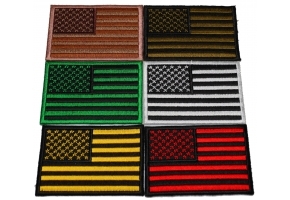 This 3 x 2 inch patch is perfect for placing anywhere on your biker gear, particularly on the sleeves of a jacket. 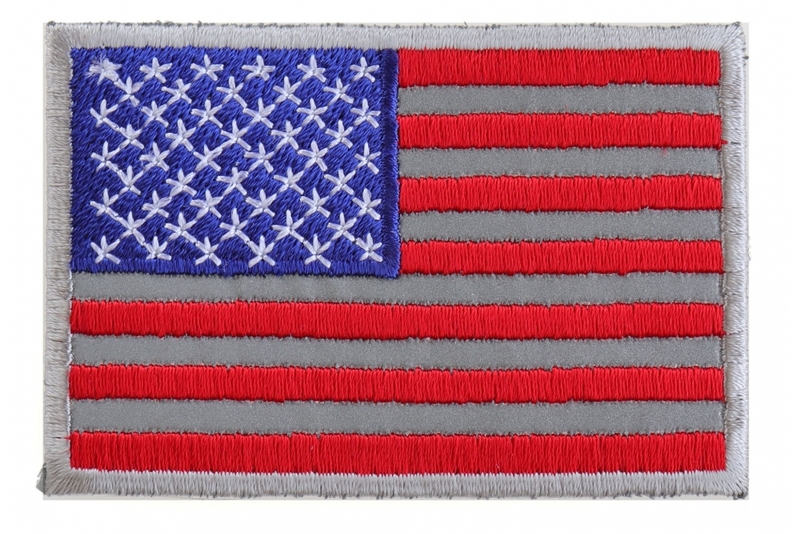 This great patch has thick die cut borders which makes sewing a breeze onto any fabric at all. 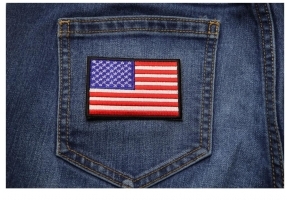 If you prefer to iron on your patches then you can simply press this embroidered patch onto any non-synthetic material. 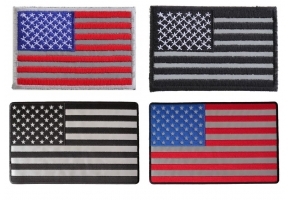 As well as showing off how patriotic you are, the American Flag Reflective Patch will also keep you safe while out riding in the dark. The patch has been made with reflective material which means that other drivers will be able to see you when you are out and about at night time. 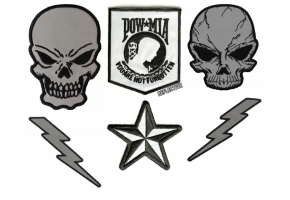 So you will have peace of mind that you can be seen without having to wear a hideous neon armband or sash over your clothing.